Electronic Arts CEO John Riccitello recently went on the record as saying that digital gaming sales will overtake console numbers sometime next year. He, along with EA, is banking on the idea that the future of game distribution will be purely digital. As we’re seeing nearly every other form of physical media shift toward the digital world, we’re years and years away from that future becoming our reality. At the moment, the biggest parallel that we can draw to digital game distribution is video distribution. This equivalent comes from services like iTunes and the Zune Marketplace that allow users to download and digitally own the complete movie or television episode. Is Riccitello expecting game distribution to head towards a path similar to this? We already see the technology on today’s consoles, but there are many things preventing this route from really gaining ground. Hard drives that are shipped in current consoles cannot support unlimited games. Assuming the size of a game shrinks dramatically after an install, users will still be stuck wondering how many more games they can fit on the hard drive. As technology continues to advance and hard drive prices fall, we can expect to see much higher storage capacity bundled with future consoles. The amount of data that publishers are fitting onto game discs is enormous. In June of last year, Metal Gear Solid 4 was the first game to use a full 50 GB Blu-ray disc. As of now, ISPs are a huge bottleneck preventing the distribution of insanely large files like those required to run high-def games. Until our ISPs vastly improve download rates, users will find it more practical to buy the physical disc. Unlike video content, games cannot be streamed to the console and can only be played after it’s been fully downloaded and installed. 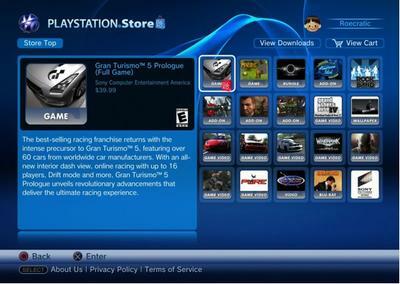 Once it’s been installed, only that specific console is capable of playing the game. You can’t rent games and certainly can’t take the game to a friend’s house without the console itself. One of the biggest detractors, you cannot resell or trade in your old games. As long as users have an option, they’ll opt for physical media. Have you ever downloaded a full game on your console? How was the experience? What are your thoughts on the future of gaming distribution.